We hold expertise in offering a high quality range of Fabric Inspection Machine. These machines are capable of inspecting high capacity of fabric in one go which makes the machines a time saving device for the clients. It comes with a variable frequency drive inverter which facilitates speed control in a precise manner. The proximity sensors of this high quality machine control the uniformity of edges. Efficient inspection of fabric defects in grey and finish fabrics. Suitable for woven, Knits and lycra fabrics. Tensionless movement of fabric on inspection table. Full forward & reserve run of fabric. Speed variable from 0 – 50 mtrs/ min. Operator friendly, improves productivity, reduces labour. Our range of Sample Cutting Machines is manufactured for accurate cutting of fabric without causing any damage to flutes and liner paper. It is specially developed for cutting small samples for spectrometers. 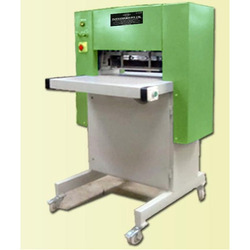 This machine is widely demanded in the market owing to its availability in various configurations. This machine has been ergonomically designed for comfort and safety. Its alloy steel blades have been laser grounded for extra sharpness and durability. The cutting mats & blade have been specially designed and allow very long usage. 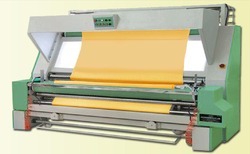 This machine can make perfect samples from any fabric be it woven or knitted; thick or thin. Sizes available from blade width from 10” upto 30”. 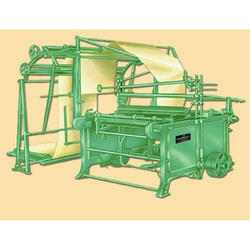 We offer superior quality Cloth Folding Machine, which is available in various specifications. 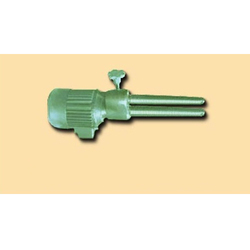 These machines are manufactured using latest technology and are as per the defined industry standards. Especially manufactured as per the diverse requirements of our customers, these cloth folding machines are also extensively used in textile industry. Self Align Seal Bearing for Easy Running of M/c. Heavy duty clutch. Latest Mechanism for fabric pressing Wire Fillet Belt to increase the life of Wire fillet Belt.